President Donald Trump has put border security at the top of his list of important issues today. One of his campaign promises was to "Build the Wall". Many Americans like his objective because they feel this will make our nation more secure and help to decrease drugs and illegal guns being brought into our country, and decrease violent crime. Immigration is a privilege that our country was founded on, but with the dangers facing our nation today, immigration needs to be controlled. People cannot continue to pour over our borders, undocumented. Terrorism and September 11th has shown our country that we need to be generous, but be safe. Border security is a hot topic facing our nation today. Thousands of illegal immigrants are crossing the southern border of our nation every day. Although many of these immigrants are seeking asylum, or just looking for a better life for their family, many others are trying to come into the U.S. with not such good intentions. By leaving our border open and unprotected in many areas, this allows for drugs, guns and criminals or terrorists to filter into our country. It is a very difficult and dangerous job for border agents to patrol the open borders and try to apprehend anything illegal passing through. Some Americans feel it is immoral to keep those in need of help out of our country, but it is impossible to quickly judge who should and should not be permitted to cross the border. There should be a better system of vetting these immigrants to make sure those in need are allowed to come to America, and those who bring nothing but bad intentions are kept out. Illegal immigration costs our country and our taxpayers a lot of money. For every illegal immigrant apprehension at the border, this costs Americans $10,500 per incident. These costs include paying border agents, cameras, technology, weapons, and time/money to take care of the illegal while they are put through the system to determine if they may stay, or end up deported. It is important for our borders between countries to allow open trade of goods and services. For instance, countries can benefit financially by trading items that the other country may need or want, but unable to produce. The U.S. exported $276 billion worth of goods to Mexico in 2017. Mexico imported $339 billion worth of goods into the U.S. in 2017. Items that are imported into the U.S. include electrical machinery, medical instruments, agricultural products such as fresh fruit, vegetables, wine and beer. Apprehending illegal crossings at the border are a big part of a border agents job. The terrain in some parts of the border can be very treacherous, as well as illegals crossing may be violent or carry weapons. Immigrants should be allowed into the U.S. The vetting process to allow immigrants in needs to be improved. It is very costly to hold these immigrants and give time to vet them. Some are let into the country and given a court date to return, only to not show up for court, and disappear into the U. S., undocumented. The Democrats will not vote to release money to continue the build of the southern border wall. Although Democrats such as President Obama and Hillary Clinton had previously showed concern that border security needed to be improved, they now disagree just because they want President Trump to fail. It is very disturbing that peace cannot be had to come together for the safety and security of our country. In 2018, 6 people were stopped at the southern border, whose names were in a federal database of suspected terrorists. This seems like a relatively small number, but any amount of terrorists trying to illegally gain entry into the U.S. is a danger. Americans have been affected by human trafficking at the souther border. Women, men and children have been passed into and out of the U.S. for the purpose of human trafficking. Official website of the Office of Homeland Security. Tim Isgitt gives information on the human trafficking problem that is occurring at the U.S-Mexico border. In 2019, President Trump created a budget able to fund substantial investments in several movements. My name is Sydney Wilson. 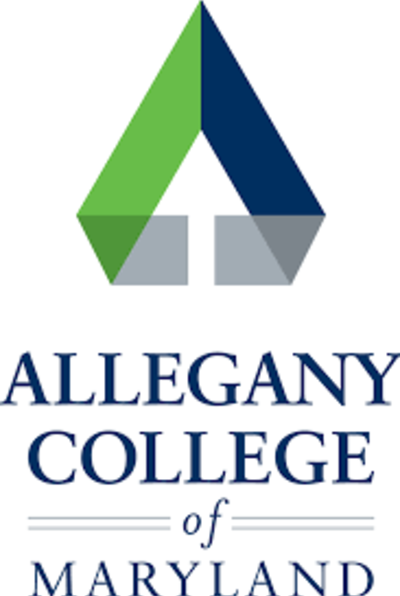 I am a Freshman at Allegany College. I have been brought up in a conservative, Christian family that is proud to be American. More government funds are needed to build the wall and provide more technology and border agents at the southern border. A better system is needed to provide safe housing for immigrants while they can be properly vetted to determine if they can be approved to enter the U.S. The U.S. should provide asylum to those in need, but do it in an organized and safe manner. The government providing funds for not only a wall, but also more agents and technology to detect illegal drugs and weapons that are currently pouring into the U.S. If we can get control of this, there is a better chance to decrease the number of drug and weapon deaths in the U.S.
Congress needs to approve funding for the border wall to be built. The Proposal Border Control needs your vote by May 20, 2019.